Once again Luck has been a popular event with attendees and artists alike. This year we were able raise over $10,000! Thank you to our Presenting Sponsor, Downtown Rideau BIA, for their ongoing support of Luck. 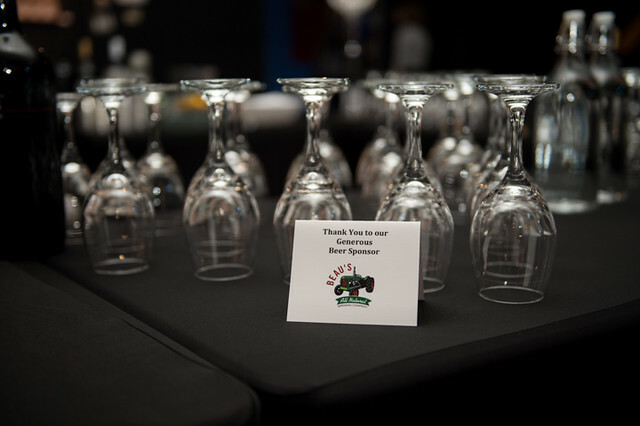 Thanks to our beer sponsor Beau's All Natural Brewing who helped make our event a merry one. Congratulations to the lucky draw ticket buyers who support the Council in our work and will add new art to their homes. A special thank you to the 58 generous artists who's donations make this event possible. And lets not forget the hardwork of the volunteers on floor and behind the scenes, thank you. Whether you weren't able to attend, or simply want to relive the exitement of the evening, you can see some of the great moments of the evening above.